If you like good writing, read something by Ian McEwan. A few years ago I suggested Solar as a Good Read but I might have just as well have recommended Amsterdam or Atonement. 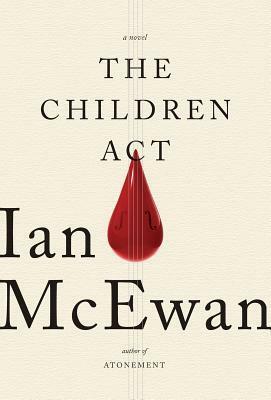 This time around, I’m recommending The Children Act, McEwan’s latest novel. The title comes from English legislation that places the welfare of children as the court’s paramount consideration. The story centers on Fiona Maye, a High Court judge in Britain’s Family Division, her childless and troubled marriage, and the case of a very ill Jehovah’s Witness, days away from his 18th birthday, and whose parents refuse a blood transfusion. McEwan contrasts the precision of the law with the messes that daily life brings; and the faith judges have in the courts with Jehovah’s Witnesses’ faith in the purity of the human body. Sentimentality has no place in either English law or this religious cult, but the decision (to visit the boy in hospital) Maye calls a “sentimental error” juxtaposed with the sentimental error of her husband’s adultery cleverly interleave and mobilize much of the narrative.